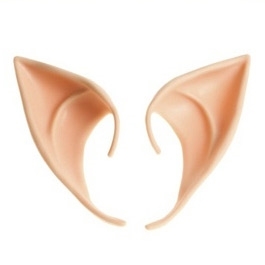 Lightweight and comfortable elf ears add a special touch to Santa's helpers. These prosthetic ears wrap around the ear and stay in place. Adhesive tape can be used to secure the ears in place if the elf character will be very active. Available in medium (1.5 inch) or large (2.25 inch) size.